1/2 price bottle of wine for you and your banshee. But don't worry if you're flying solo. We also have $3 off house craft cocktails for the lonely hearts club. 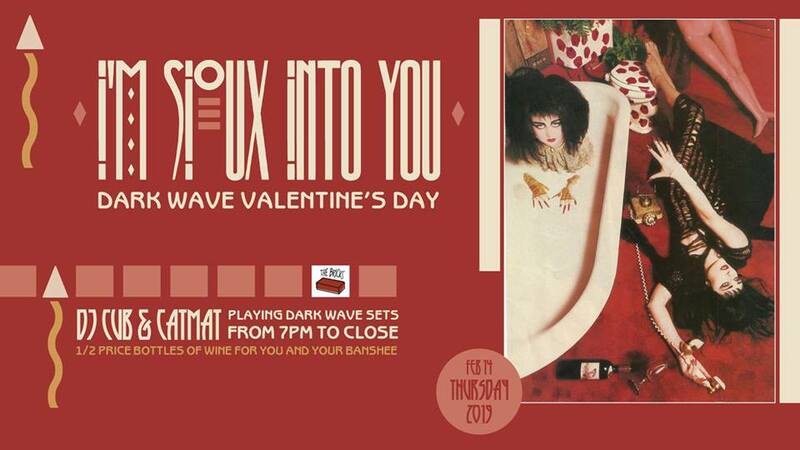 Join us for some dark wave classics this Valentine's Day at The Bricks.